Located in Louisville, Kentucky, Meredith Machinery is the state’s only full-line machine tool distributor, serving Kentucky & Indiana. We carry many lines of equipment to assure we have the right product for the many different needs of our customers. 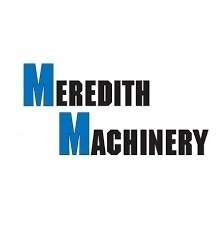 From tool room equipment to job shop machines, to production equipment to horizontal boring mills to robots and automation, Meredith Machinery has the right equipment for your business. If you are considering cutting metal in Kentucky or Indiana be sure to consider Meredith Machinery. Nakamura-Tome Precision Industry Co., Ltd.